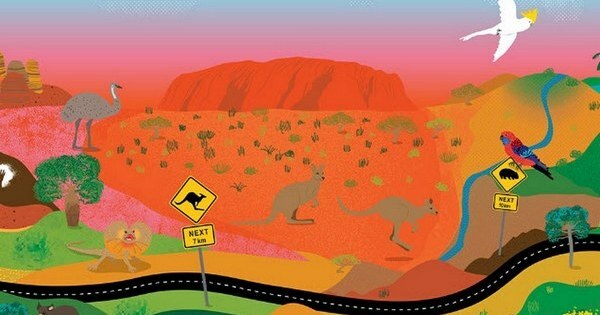 When I was growing up (in the seventies and eighties) my family did lots of road trips, including a number of trips from Melbourne to Queensland. Yes, the picturesque beaches and warm tropical waters were lovely. Yes, the rainforests were impressive. But the highlight of these trips? The ‘big stuff’, of course! The Big Banana, where we always had a frozen chocolate-coated banana, and the Big Pineapple, where we never tired of the little train ride through the pineapple plants, were our favourites but the family photo albums are chock-full of pictures of my brother and I standing in front of various ‘big’ monuments around Australia. Samone Bos and Alice Oehr clearly understand the appeal of big things – their new book, The Little Book of Australia’s Big Things celebrates those huge, slightly kitschy attractions that Australians have a love affair with. 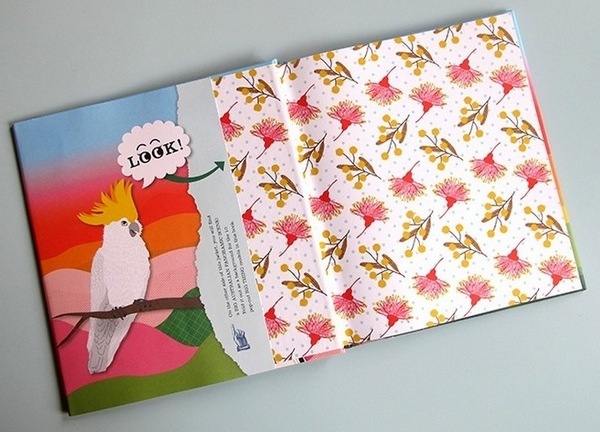 The Little Book of Australia’s Big Things is not an exhaustive catalogue. Instead, the authors have chosen their top ten (the big banana, pineapple, Ned Kelly, Merino, koala, trout, Galah, guitar, lobster and penguin) and provided fascinating facts, jokes and ‘big things’ activities (from mastering the art of finger-knitting on your way to the Big Merino to growing your own pineapple from the top of an old pineapple). 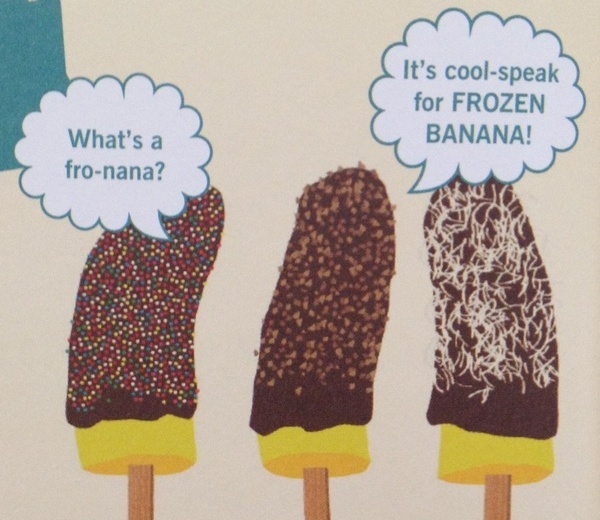 Needless to say, my brother and I will be scheduling an afternoon for making Choc-Dip Fro-Nana Pops this summer (although will they taste the same without the Big Banana as the backdrop?!). 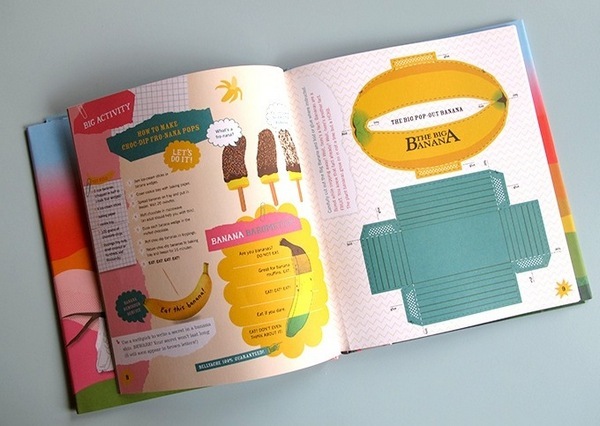 The book also includes pop-out paper models for kids to construct and the inside the book jacket is a panorama of the Australian landscape, the perfect backdrop for the ten pop-outs. The true pleasure in this unique book is Alice Oehr’s illustrations and graphic design. Flora and fauna patterns, the presentation of facts and jokes and the easy-to-follow activities are a visual treat – bright colours (think Ken Done and Jenny Kee of the eighties) and a mix of photographs, drawings and diagrams provide kids (and grown-ups) with a superb snapshot of the very best of Australia’s big things. 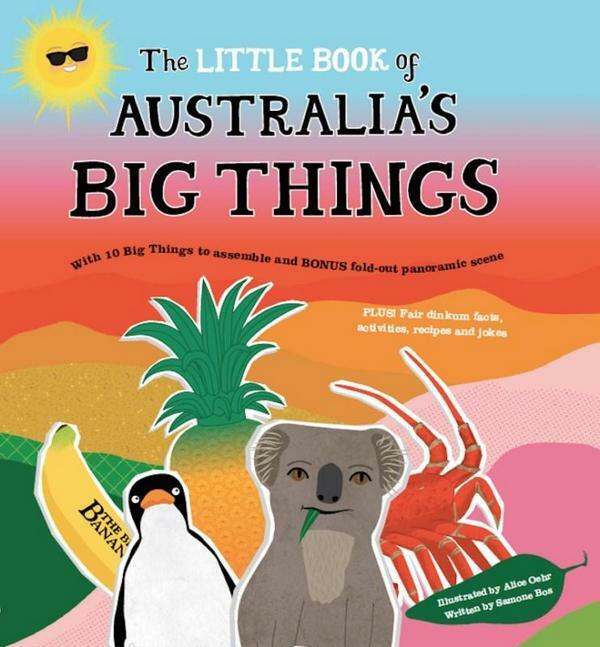 Find The Little Book of Australia’s Big Things in all good book stores or online at Readings.